Engagement is core to Kansas State University's value and identity as a public research land-grant university. Integrating engagement with research and education is part of the university's plan to become a Top 50 public research university by 2025. Every two years, the Center for Engagement and Community Development conducts an online survey of faculty and academic staff regarding their scholarly outreach and engagement was developed. 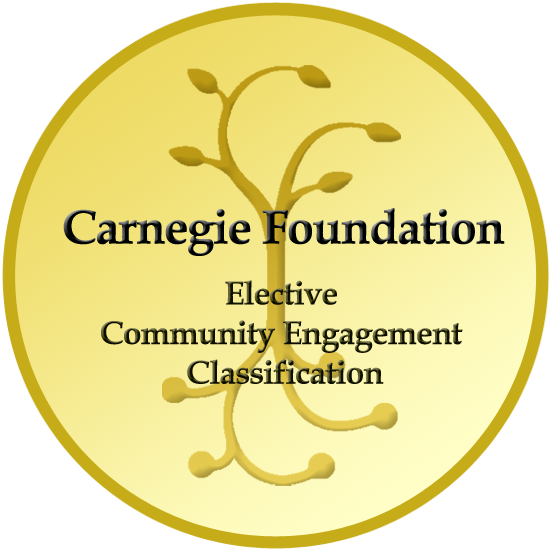 The data collected through this Engagement Benchmarking Tool (EBT) (pdf) demonstrates the university’s collective commitment of time, scholarly resources and research discoveries for the direct benefit of citizens, communities and organizations in Kansas and communities worldwide. Several key findings from the most recent EBT report are below. University FTE dedicated to engaged work. Value of salary investment by faculty and academic staff in addressing issues of public concern. Students enrolled in service-learning classes. Engaged work projects with statewide reach and impact. Total dollars awarded in engaged extramural funding. Faculty and staff reporting at least one engaged project.